If you watched our liveblog, saw the announcement and read our first impressions of the RAZR i then you’ll probably want to know when you can buy the thing. We’ve just received word that the slim edge-to-edge Moto handset will be dropping onto Expansys this Monday, October 1st. 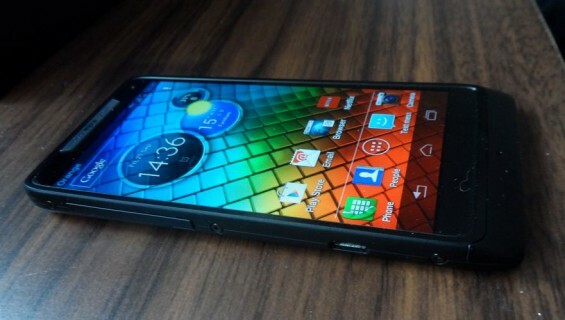 The RAZR i has a thin bezel and the 4.3″ 960×540 pixel screen (almost) consumes the full width of the handset. Inside there’s a single-core 2GHz CPU from Intel, Bluetooth 2.1 with EDR, GPS, WiFi, 1GB RAM, 8 GB internal storage (plus a microSD card slot for up to 32GB additional) and a 2000mAh battery.